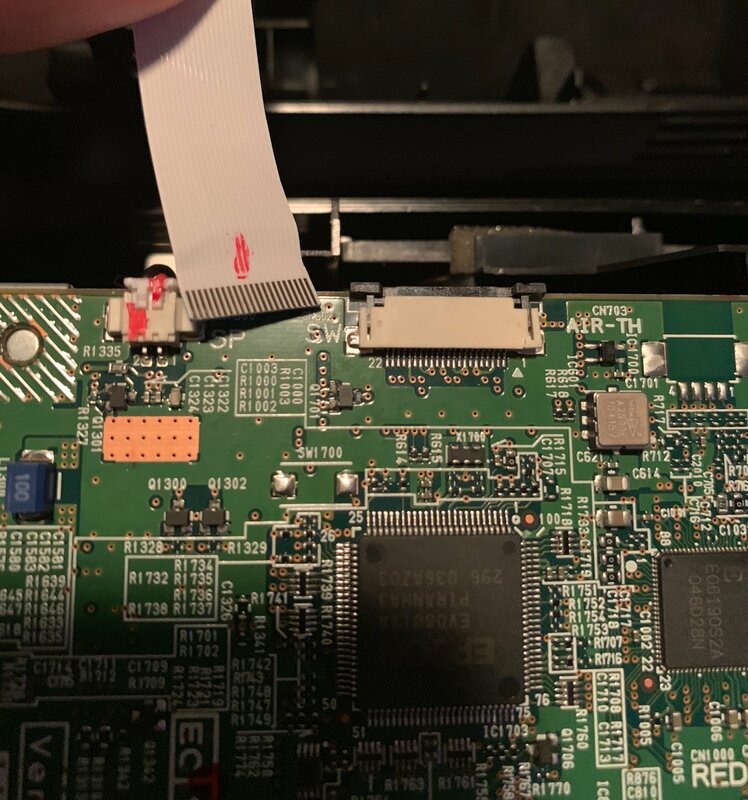 I am having trouble figuring out how to reconnect this ribbon cable*. My dear removed it when he was trying to fix our projector and cannot figure out how it went in. There doesn’t seem to be a way for it to reconnect or I am clearly missing something. Any info would be appreciated. (*) - Actually, it's a flexible flat cable. Slide the ribbon cable in, then you push the black plastic part of the connector in. It provides a friction lock. 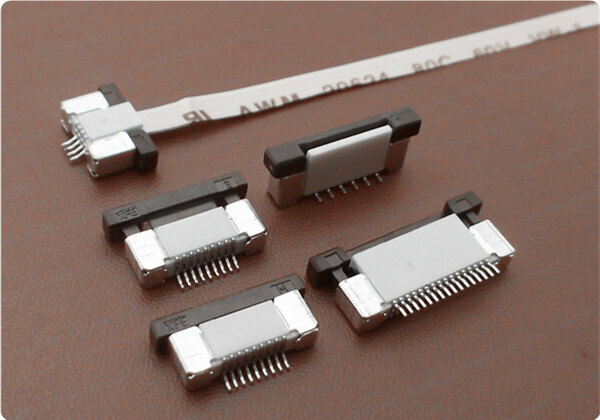 Here you can see a similar connector in both open and closed states. You have to pull the lock (the brown part of the connector) out before you insert the cable. Once the cable is inserted, push on the lock to close it, it will then hold the cable in place. Not the answer you're looking for? Browse other questions tagged cables or ask your own question. Serial cable won't physically connect? How to repair vintage compute flexi cable?